Our guide on starting a movie theater covers all the essential information to help you decide if this business is a good match for you. Learn about the day-to-day activities of a movie theater owner, the typical target market, growth potential, startup costs, legal considerations, and more! Movie theater businesses sells movie tickets to everyday people. They also sell tickets to private screenings for groups, businesses, and other organizations. If you have a passion for cinema, storytelling, and acting, running a movie theater business will prove especially rewarding. What happens during a typical day at a movie theater? The typical movie theater business owner handles a wide array of responsibilities in the usual workday. He does everything from determining which movies to show at the theater to handling marketing endeavors, hiring new employees, delegating work to current employees, and securing licensing deals for future films. The ideal customer is a large group that is willing to pay plenty of money to rent a portion of the theater for a private screening. Oftentimes, businesses and other organizations will pay extra money to secure a section of the theater for their group's viewing of a film. How does a movie theater make money? A movie theater business makes money by selling tickets to movies. This business also makes money by selling concessions such as popcorn, candy, and refreshments. What is the growth potential for a movie theater? 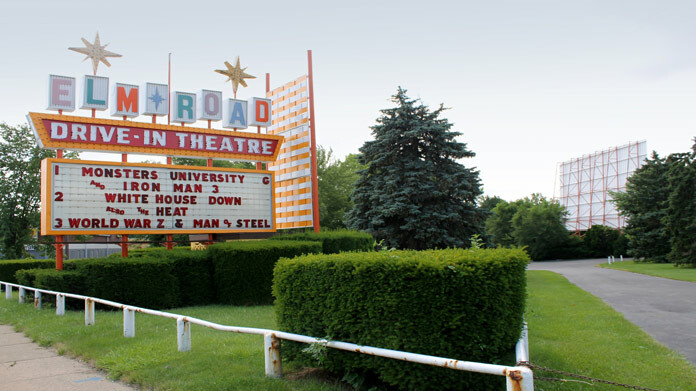 A successful movie theater business can expand to additional locations and eventually spread across the region or even the country. What are some skills and experiences that will help you build a successful movie theater? The entrepreneur should have a firm grasp on the desires of locals. An understanding of the types of movies people truly desire to watch has the potential to make the difference between a successful movie theater business and one that fails. The entrepreneur should also be a skilled marketer to boot. What are the costs involved in opening a movie theater? A movie theater requires screens, chairs for ticket buyers, a reel projector, computers, speakers, dimmable lights, sound proofing, audio/video receivers, software to play films, HDMI cables, a ticket booth, a point of sale system, cash registers, a butter warmer, a popcorn maker, candy, refreshments, insurance and labor. What are the steps to start a movie theater? Form a legal entity. Establishing a legal business entity prevents you from being personally liable if your movie theater is sued. Open a business bank account. A dedicated checking account for your movie theater keeps your finances organized and makes your business appear more professional to your customers. What are some insider tips for jump starting a movie theater? Differentiate yourself from the pack. Do not show the same movies as the rest of the local theaters. Hold several promotions to get the locals interested in your theater. Try to secure licensing deals so you can show movies that are in-demand as opposed to independent films that the general public probably is not interested in. Explore every marketing avenue to the fullest. Market your business across an array of mediums to obtain maximum exposure. Make sure your web content is optimized for search engines (SEO) so locals can find your company online with ease. When marketing your theater, be sure to emphasize the factors that make your business unique. Perhaps you have extremely comfortable seats that recline. Maybe your ticket prices are low compared to those offered by other local theaters. Stress the advantages of watching a movie at your theater and people will show up. Establish business partnerships with local entrepreneurs so you can run joint promotions with nearby cafes, restaurants, bars, and other venues. Customers are looking for value and unique offerings. Keep your prices in line with those of competitors. Offer discount movie nights so people can experience your theater first-hand. An individual who enjoys a screening at your theater at a discounted price is much more inclined to return for future screenings. Consider showing a handful of independent films that competitors do not provide. Make sure your popcorn is fresh and your drinks are cold. Keep your theater as clean as possible and people will post positive reviews online and return for future showings. Consider offering price discounts to large groups of people, students, and senior citizens. Getting them in the door for a screening just might convert them into loyal customers. A team will be necessary right away unless you have a single screen at your theater. It is possible for you to handle ticket sales, cleaning, and marketing, yet you will need a couple people on-hand to take tickets and sell refreshments, popcorn, and candy. Your theater will also require a someone to run the projector. As time progresses and the business grows, more employees will be necessary. It is prudent to add a marketing professional, ticket takers, ticket sellers, cleaners, and a general manager. You can fill some of these roles when the business first launches, yet you will eventually become so busy that these duties must be delegated to others. In most states, it is necessary to obtain a movie theater license. 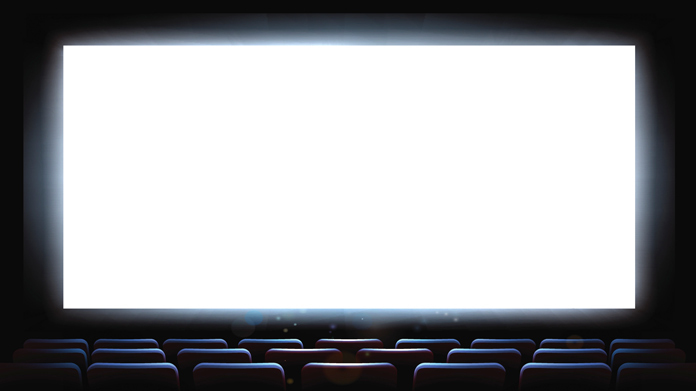 Certain state permits and licenses may be needed to operate a movie theater business. Learn more about licensing requirements in your state by visiting SBA’s reference to state licenses and permits. A movie theater is generally run out of a storefront. Businesses operating out of a physical location typically require a Certificate of Occupancy (CO). A CO confirms that all building codes, zoning laws and government regulations have been met. Before leasing, confirm that your landlord has or can obtain a valid CO that is applicable to a movie theater. Review all building codes and zoning requirements for your business’ location to ensure your movie theater will be in compliance and able to obtain a CO. The typical movie theater charges between $8 and $15 per ticket. However, some movie theaters hold discount days/nights in which tickets are sold between $4 and $7. Popcorn typically costs between $4 and $10 based on the tub size. Refreshments cost between $3 and $6. You can charge between $3 and $6 for candy. What are the ongoing expenses for a movie theater? Ongoing expenses include labor, securing the rights to films, theater upkeep, insurance, facility rent, the cost of popcorn, candy and refreshments, and marketing. If you do not own your facility, monthly rent will likely be anywhere from $700 to several thousands of dollars depending on the building's size. Upkeep of the theaters, the building and parking lot will likely cost a couple hundred dollars per month at a maximum. Securing the rights to films hinges on their popularity and the nuances of theaters' relationships with distributors. Labor costs for ticket takers, ticket sellers, concessions personnel and cleaning staff will likely be between $8 and $10 per hour. A handyman will likely demand an hourly wage between $12 and $25. A movie theater manager will likely make between $30,000 and $50,000 per year. A marketing professional will command a salary in the same range as the manager. How much profit can a movie theater make? A movie theater business can make upwards of $50,000 in its first couple years of operation. The level of profitability depends on the location, the specific movies shown and the number of screens at the facility. Expand your business to other locations, across the region or even across the nation and your profits will likely reach six figures or even millions of dollars. Sell more than movie tickets. A movie theater business can sell popcorn, candy, refreshments, movie memorabilia etc. It is also possible to charge more for seats in the center/back of the theater. Be sure to charge more for evening tickets as opposed to matinee tickets. Consider replacing the front row seats with row-style seats with tables and chairs. You can sell premium food and drinks to moviegoers at comparably high prices. If your local laws permit the sale of alcohol in theaters, obtain a liquor license and sell beer, wine, and other items. Consider adding an arcade to your movie theater. You can make a substantial amount of money if your arcade has some of the latest video games.